Ornamental fish breeder Qian Hu Corp returned to the black in the fourth quarter of 2013 as it found some stability in Dragon Fish margins. Qian Hu posted a net profit attributable to shareholders of $69,000, or 0.02 cent per share, for the three months ended December. The company lost $49,000 in the year-ago period. For the full year, Qian Hu swung back into the black with a net profit of $302,000, or 0.07 cent per share. The company had lost $9.2 million a year earlier as it incurred a one-time loss from divesting its stake in a Malaysian Dragon Fish business amid intense competitive pressures. Qian Hu is recommending a 0.1 cent per share first and final dividend. The company's shares last traded at 8.5 cents on Jan 7. The net asset value underlying each share slipped to 11.23 cents as at end-December from 11.92 cents a year ago. The return to profitability reflected stability in the Dragon Fish market during the second half of 2013, Qian Hu said. 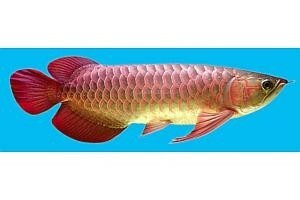 Sales of Dragon Fish in North-east Asia, especially China, also picked up in the fourth quarter. "We envisaged that the group should see a steady growth in its ornamental fish's revenue and profitability in the coming quarter," the company stated in an announcement. The accessories business also grew in the fourth quarter, as the company's focus on its proprietary products has resulted in stronger margins. The accessories business contributed $430,000 of operating profit in the fourth quarter, up 14.7 per cent as operating margin improved by 0.3 percentage points to 4.4 per cent. Qian Hu achieved a positive bottom line for the year despite a 1.2 per cent decline in full-year revenue, to $83.5 million. That reflected not just the stronger sales of accessories, but also a trimmer Fish division after the 2012 divestment of its Malaysian Dragon Fish unit, Kim Kang Aquaculture. Qian Hu said at the time of the divestment that it was selling the business as a response to oversupply in the Dragon Fish market. Looking ahead, Qian Hu said it will focus on growing exports, using technology and automation to improve productivity, and improving its balance sheet. "We believe that Qian Hu will soon move towards becoming a debt-free company with high dividend payout," the company stated. The company expects higher revenues and to remain profitable in 2014.